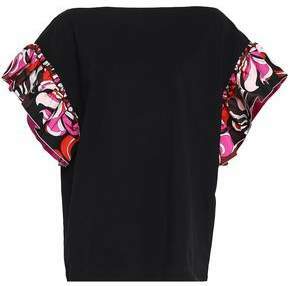 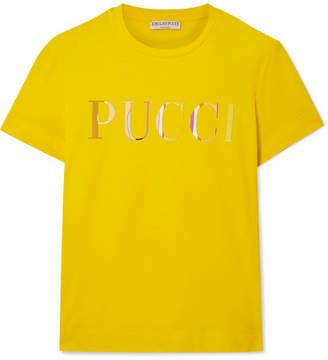 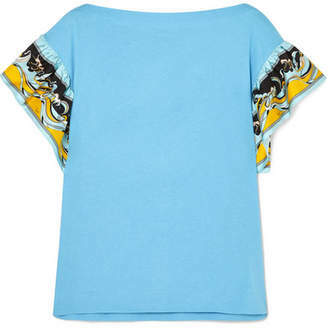 Emilio Pucci's T-shirt is an easy way to incorporate the label's iconic prints into your daytime wardrobe. 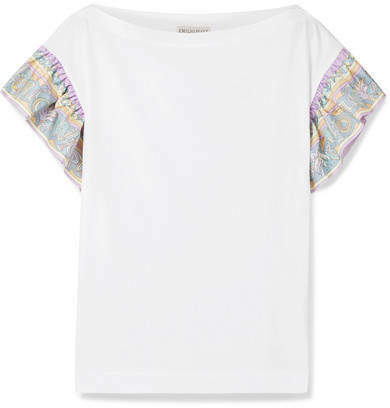 Made from cotton-jersey, this white style has silk-twill ruffles at the sleeves that feature a pastel tropical motif. 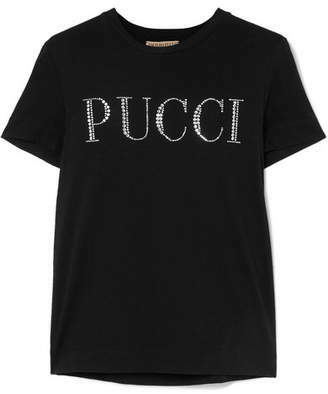 Tuck it into jeans.